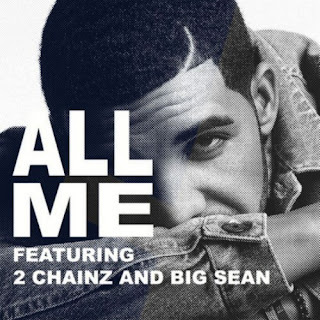 Last night Drake released a new tune called "All Me" featuring 2 Chainz and Big Sean, plus a short intro of comedian/actor Aziz Ansari. If you weren't anticipating Drizzy's new record Nothing Was The Same on September 17th, then maybe this song will convince you. Although he has two guests on this track, they never out do him as he spits with some intensity over a mellow beat. I'm feeling this one and will be checking out his third album when it drops. Stream the cut below.